Introduction - See how to make your photos better with Digital Photo finalizer - This video demo is an introduction to Digital Photo Finalizer. 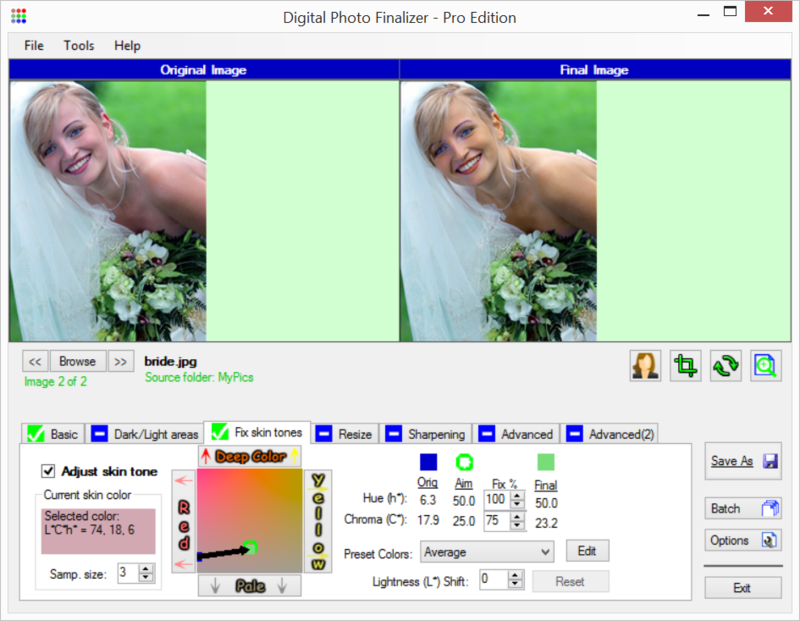 We show how to make your digital photos look better, how to make skin tones look perfect, and show many of the other features of Digital Photo Finalizer software. Make Skin Tones Perfect - Skin tones are usually the most critical colors in your images. Unfortunately, digital cameras oftentimes do not reproduce them well. In this demo, we show how Digital Photo Finalizer's "Skin Tone Finalizer" feature can automatically make skin tones look just right with one click. Dark/Light Area Fixer - In this demo, we show how the 'Dark/Light Areas' control helps you salvage detail from the dark or light areas of your images. This is particularly helpful when you have backlit or poorly exposed images. Quickly and Easily Improve Large Batches of Digital Photos - In this demo, we show how the 'Batch processing' feature can improve many digital photos, all in one step. We also show how this feature makes managing your photos easier. 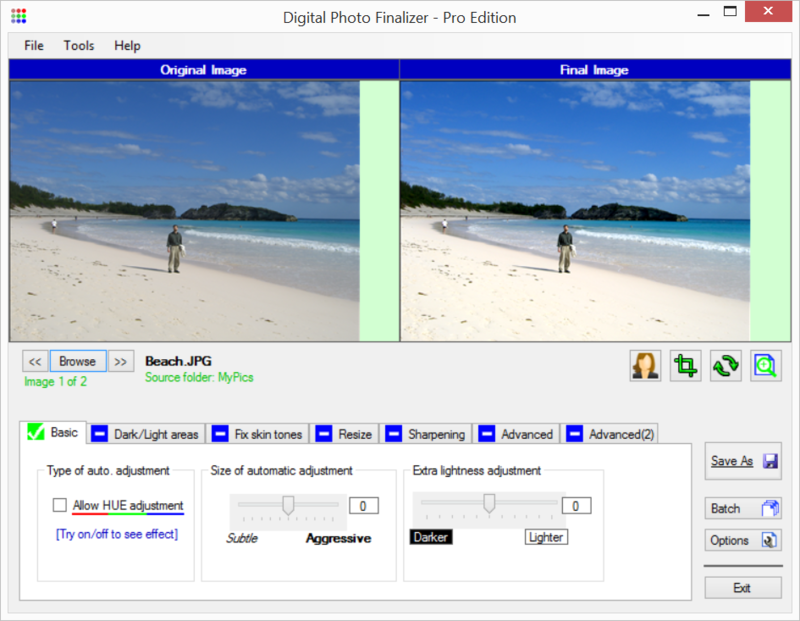 Give a Sun Tan with Digital Photo Finalizer - In this demo, we show an of the power and flexibility of Digital Photo Finalizer's 'Skin Tone Finalizer' feature. In seconds we give a person a sun tan. 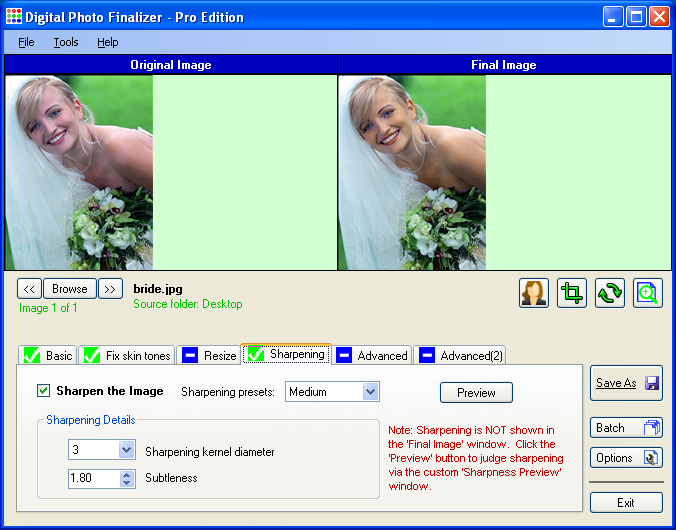 Learn about Image Formats - In this demo, we show you the various file formats that Digital Photo Finalizer can save your images as. Understanding these will help you get the most from your digital photos. More ways that Batch Processing helps Manage your Photos - In this demo, we show some additional ways that Digital Photo Finalzer's 'Batch Processing' feature can be used to help you manage your photos. 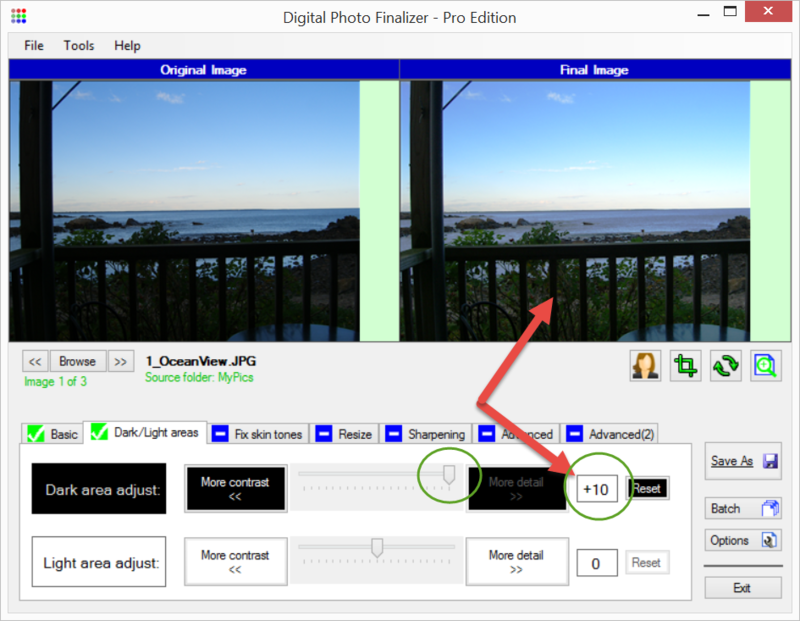 Digital Photo Finalizer easily and automatically makes your photos look their best. You always see a side by side comparison of the original and final images, so you know exactly what is being done to your photo. Digital Photo Finalizer can help you fix the dark or light areas of your images to make poorly exposed or backlit images look their best. Skin tones are the most important colors in an image. With our unique 'Skin Tone Finalizer' feature, you just click on a skin tone and it automatically is made to look just right. Cropping your photos allows you to zoom in on what is important in your photos, and remove what you don't want. 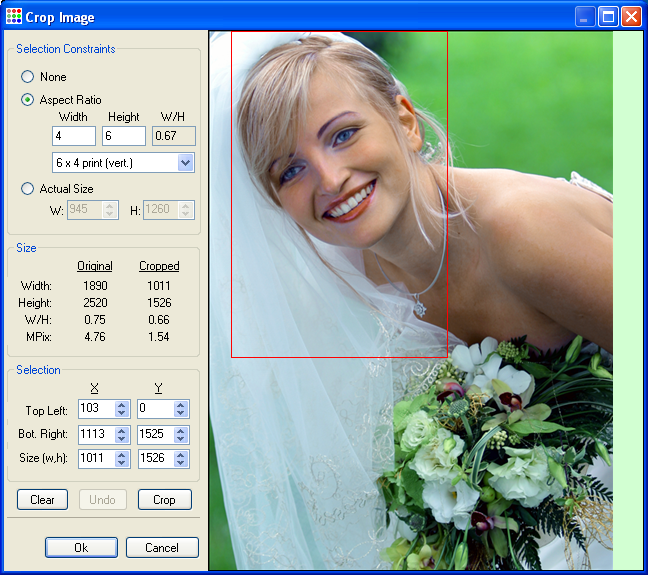 Cropping with Digital Photo Finalizer is simple and flexible. You can optionally specify the aspect ratio or exact size of the crop area in order to make your photo perfectly fit a display or print. 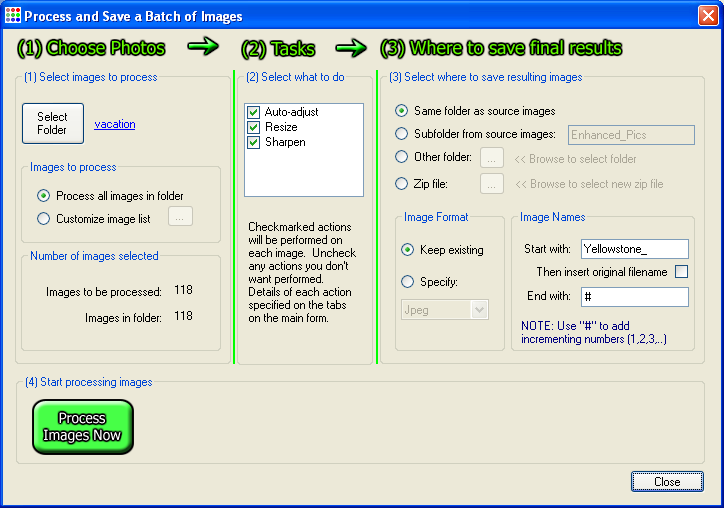 Batch processing makes managing your photos much easier. This feature lets you improve, rename, or make other changes to a large batch of photos. This is really convenient, especially if you have a lot of photos. You can make fine details in your photos stand out more by using our flexible sharpening feature. This will allow you to see finer detail in your photos. It is simple to use, and really can improve your photos. 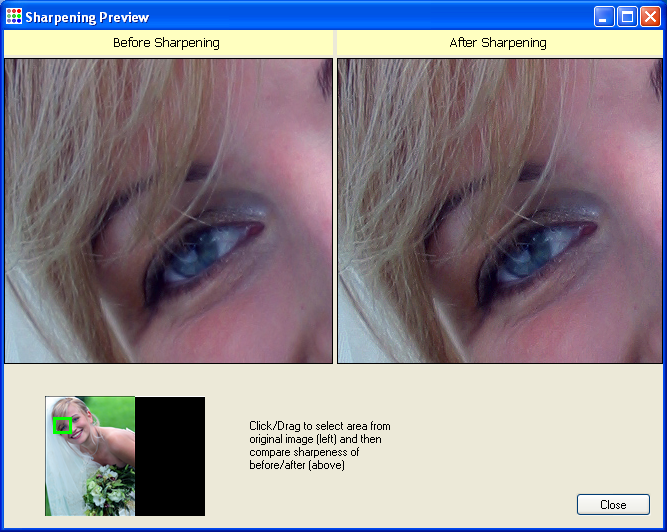 The 'Sharpening Preview Window' lets you accurately see the effects of sharpening on each part of your image. Use this feature to judge how much sharpening will make your photo look its best.